Real Food Grocery Staples — True Co.
Truthfully, I am the WORST at making grocery lists. Or even lists of any sort really. I tend to try and keep everything in my head. Even when I had my salon I kept majority of my appointments in my head instead of in my book. Rarely did that come back to bite me but add two kids and a few more things slip the brain. When I do attempt a shopping list it ends up scribbles of almonds, green stuff, and Siggi's on a half ripped piece of old mail. Instead of a big grocery list each week I tend to operate mostly off of some staples that I know I always need. Also, I am a cheapskate. I've accepted this. BUT being that I am almost thirty I have also learned the value in investing money in what I place a priority on... so, FOOD. It is worth the extra little bit of money for me to buy organic, pasture-raised, or grass-fed because I believe whole-heartedly it makes a difference in how our bodies function, develop and grow. That being said, I also whole-heartedly believe that it is completely doable to work this kind of grocery list into your budget. Any budget. I buy eggs literally every single time I am at the grocery. If I have eggs, there is a meal we can make. Breakfast, brunch, lunch, brinner; eggs have it covered. Organic, pasture-raised is best because the chickens that lay them are healthy, happy and raised on natural feed (wild grasses + bugs) that brings more vitamins and minerals to them and going forward to the eggs. Never, ever, under any circumstances, for any reason, whatsoever leave the grocery store without Avocado. (Props if you caught the Office reference.) Avocado is not a dirty dozen food so I flip-flop in buying organic and conventional depending on availability, price and sometimes just how they look. Add them to smoothies, desserts, sandwiches, eggs + basically any of our upcoming UNRECIPE BOWLS. Nuts will take you far. They are a fat so they serve as a great snack between meals that will keep you full. Turn them into milks or butters and feel like the frickin Martha Stewart that you are. So yeah, always nuts. Almonds, cashews + walnuts are my favorites. Sidenote- Nuts are very important to buy organic as they're one of the most highly sprayed crops. This may not be necessary if you don't have kids. I could totally go a shopping haul without buying bananas but if adding a banana to a smoothie or muffin means my kid will eat half a zucchini or a handful of spinach, I'll keep buying them every time I walk through Costco. They're a side, an entree, a smoothie base and even serve as a dessert from time to time. Full of good, fueling complex carbs; sweet potatoes make the list each and every time. Japanese Yams are my go-to as of late. They have a slightly more mild taste and it goes so well with EVERYTHING. 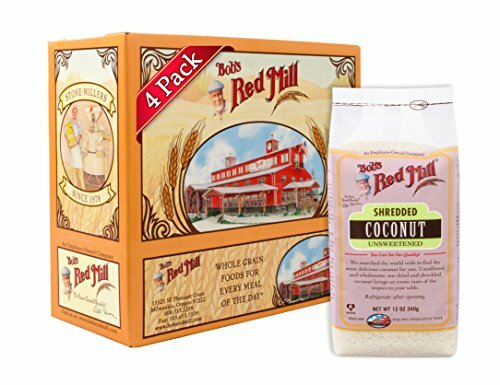 Organic, unsweetened shredded or flaked coconut are my choice. Again, these can be used in so many different variations. From smoothies, to baking to HOMEMADE coconut milk! Let's just stop for a second and talk about this homemade coconut milk.... it's the Justin Timberlake of milks. I know, bold of me. It's the truth. I think the fact of just how easy it is, makes it taste even more delicious. Having the ability of making milk at the moment you run out without having to wait 12 hours for soaking .... glory! No running to the store last minute but instead grabbing your jar of coconut shreds and filling your blender with purified water. Yes. This is basically for making skillet cookies. But it's good for a lot of other things too. IE: breading, meatballs, pancakes, muffins, etc. Just get it, it will come in handy. I don't buy this every time I shop but I always have it in my fridge. I usually just choose a couple that sound good for the week. I rotate between ground turkey, chicken, bison and a breakfast sausage or bacon. Some weeks we eat a lot of meat and some weeks we eat more plant sources of protein. Meat is another grocery item that I always buy the highest quality possible and local as much as I can. It's better for us, yes, but it also just tastes better. 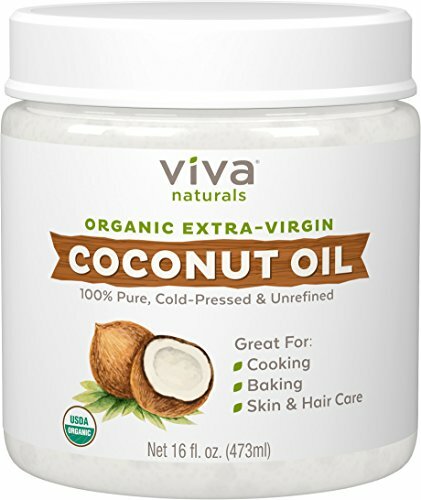 Always and forever I will pledge my allegiance to coconut oil. And I will never go a day with out. 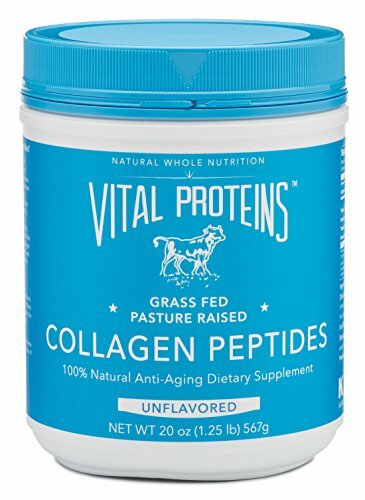 I use collagen peptides every single day. I use it in something for my kids almost every single day. You will consistently find Vital Proteins in stock in our pantry. 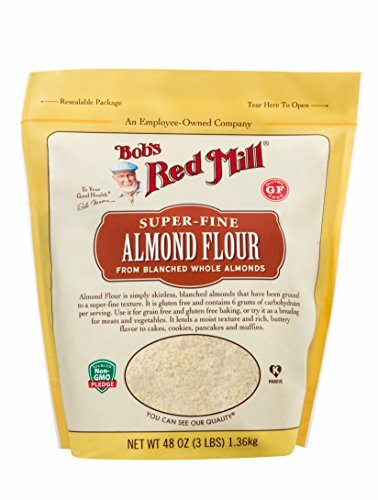 This is more of a specialty item but it's become a staple in our home. If your brain works like mine and it's a struggle to sit and write out every item you might need for the week, this list of real food staples is a good place to start from. Several of the staples I mentioned about you can get online and really save your brain the trouble. There are links to those below. I generally then just have to add a few specific things we might need for snacks or various meals we will have. It works well for us and I hope it does for you too.